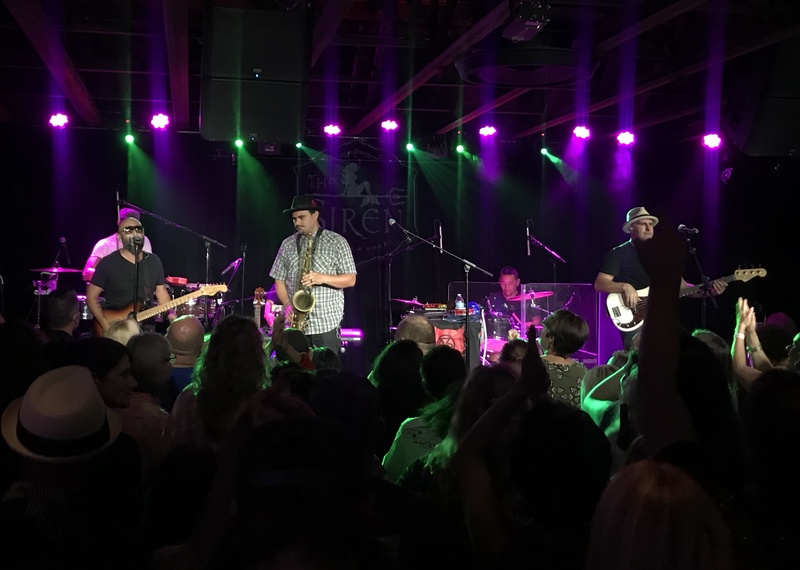 Last night a band that I like to refer to as “the feelgood fanatics of the funky fiesta” (ok, I admit, I’ve never once had the guts to say this phrase out loud for fear of social castigation but I’m doing so herein, street cred be damned!) 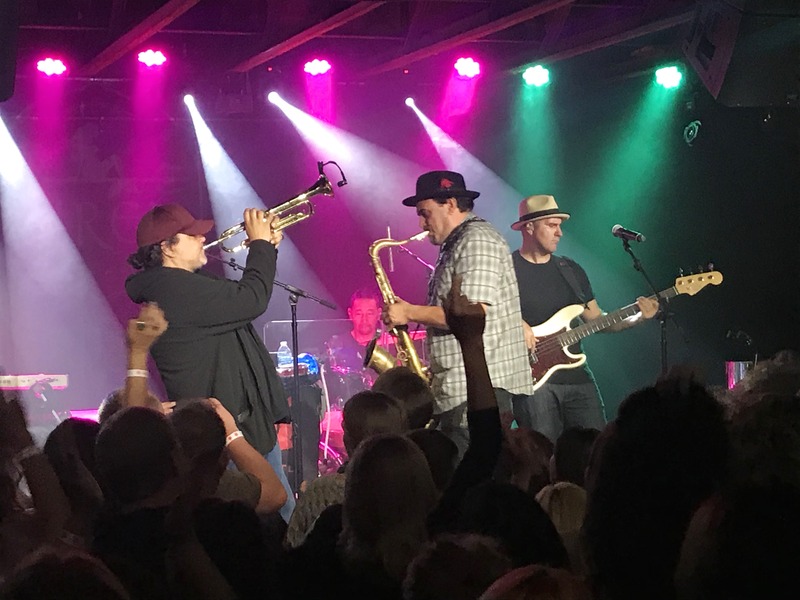 took the stage at the Siren in Morro Bay, California where they administered their trademark musical panacea for the over 300 fans at the sold-out show. 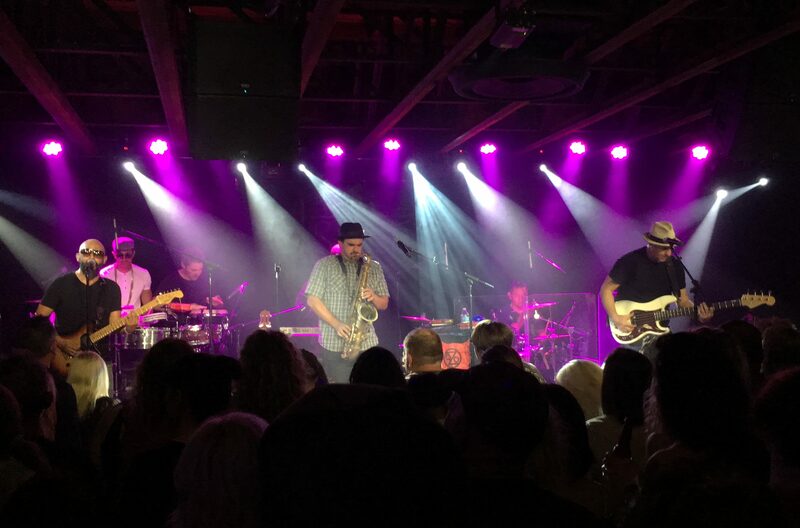 Perhaps it was no mistake that the concert promoters (Good Medicine) were hosting the event since it appeared that the band’s aural remedies were exactly what the doctor ordered. 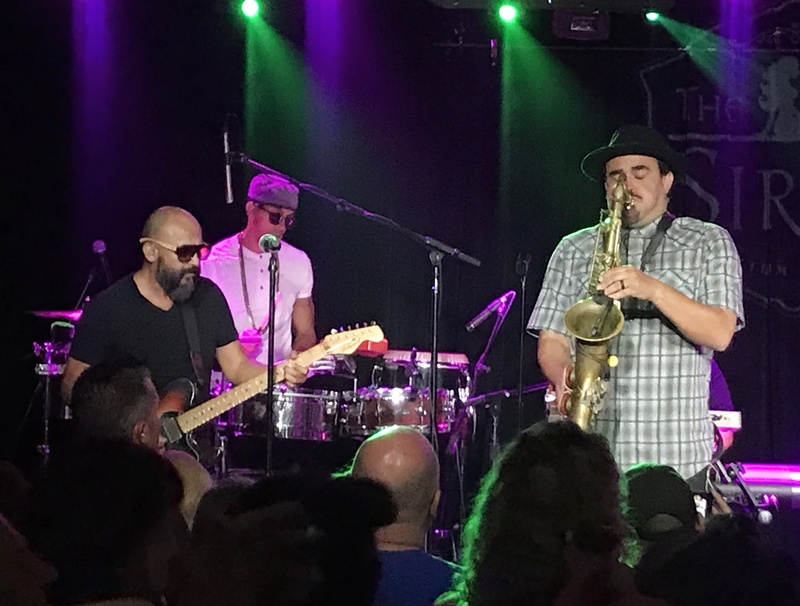 The band tore through staples from their back catalog, including fan favorites “Como Ves“, “Cumbia Del Los Muertos“, “Nadas Pro Free” and “Chango.” Other musical highlights of the night included “Pensando Mi Vida” with its perfect blend of vocal, horn and percussive textures. Local musician John Carbonella Jr. (from the talented Budos Band) made a surprise appearance, jumping on stage to play the congas. In their final gesture of solidarity with the crowd, after a particularly rousing dose of reciprocal call and response, the members of the band left the stage and proceeded into the audience with their acoustic instruments. 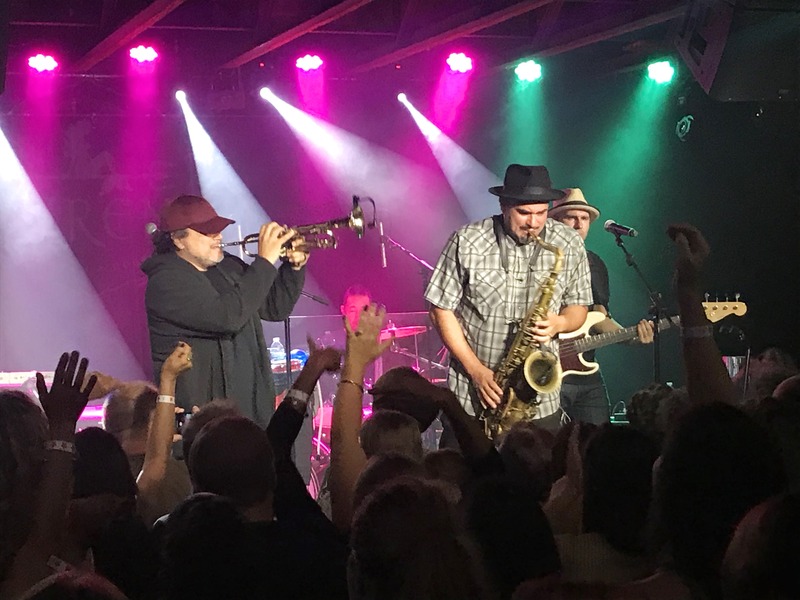 What transpired was an egalitarian crowdsourcing that put musician and audience on equal footing, merging into one symbiotic amalgamation of groovy satisfaction as the evening wound down. If there was ever a band that I’ve witnessed over my many years of concert going that exemplified the ethos of hardworking, accessible and feel good music, it is this band. They have the gravitas to not shy away from cultural expressions and political stances, but don’t let their frustrations regarding the injustices of the world drag down the resilient energy and uplifting spirit of their music. Highly recommended. Also, thanks to DJ Manuel Barba (owner of local independent music store Traffic Records) for setting the appropriate tone for the evening through his inspired vinyl spinning and ongoing support of the local music scene. 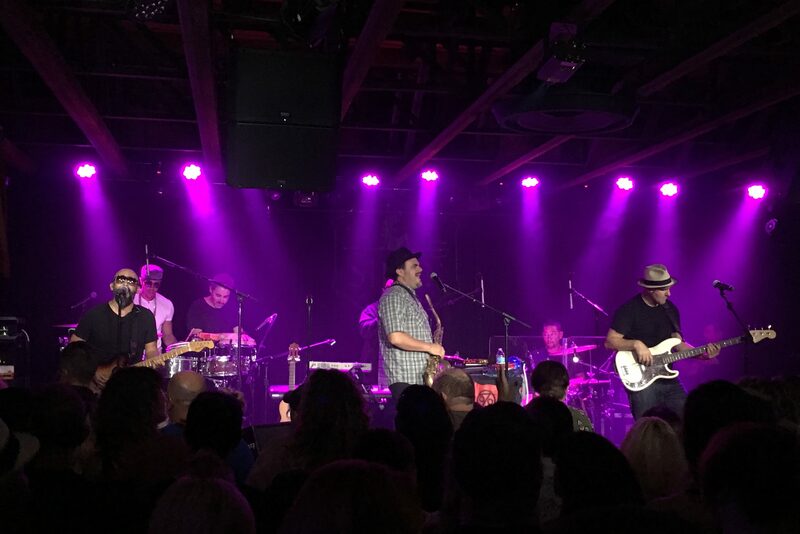 For the latest tour and band info, be sure to check out the band’s official website at www.ozomatli.com.